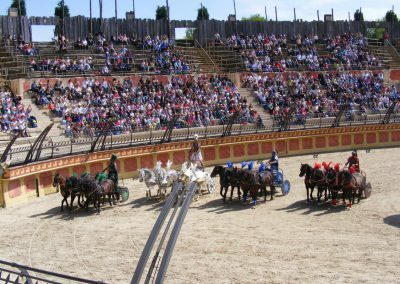 Travel back in time at one of France’s most popular attraction parks Puy du Fou. 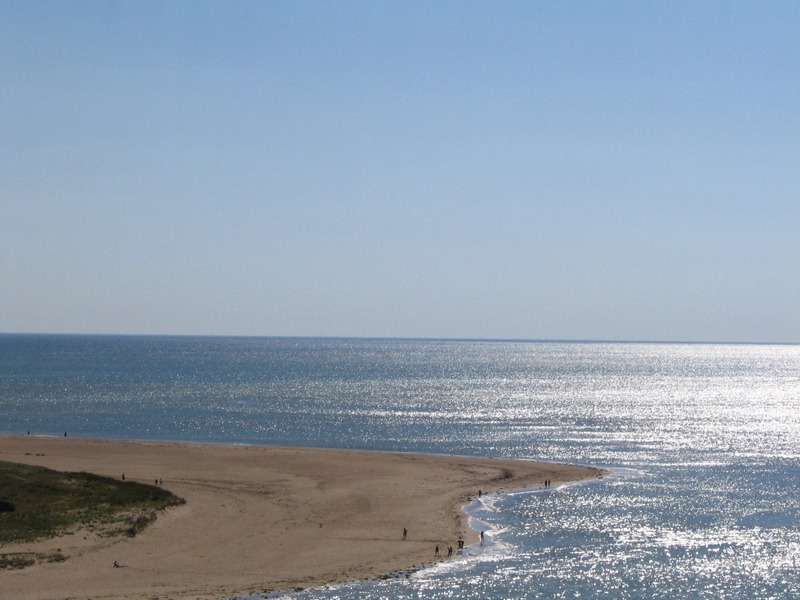 With more than one million visitors per year, this is the mean attraction in the Vendée and you will need a complete day. 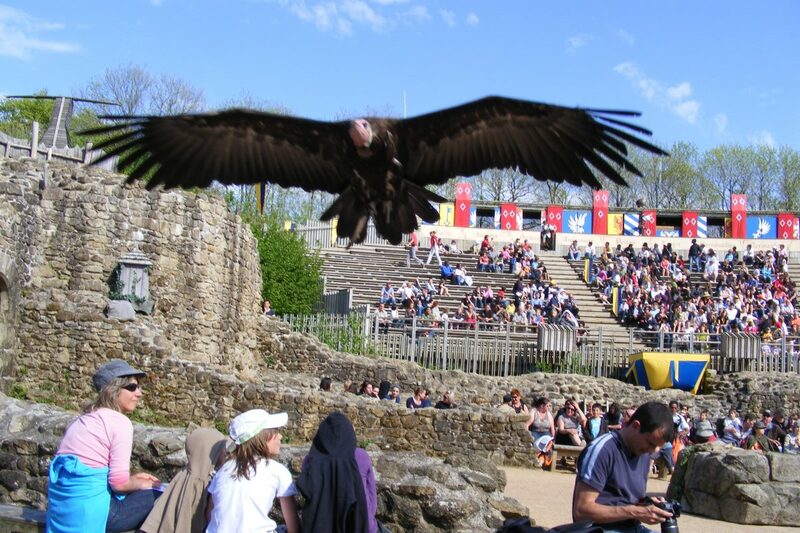 Puy du Fou is approx. 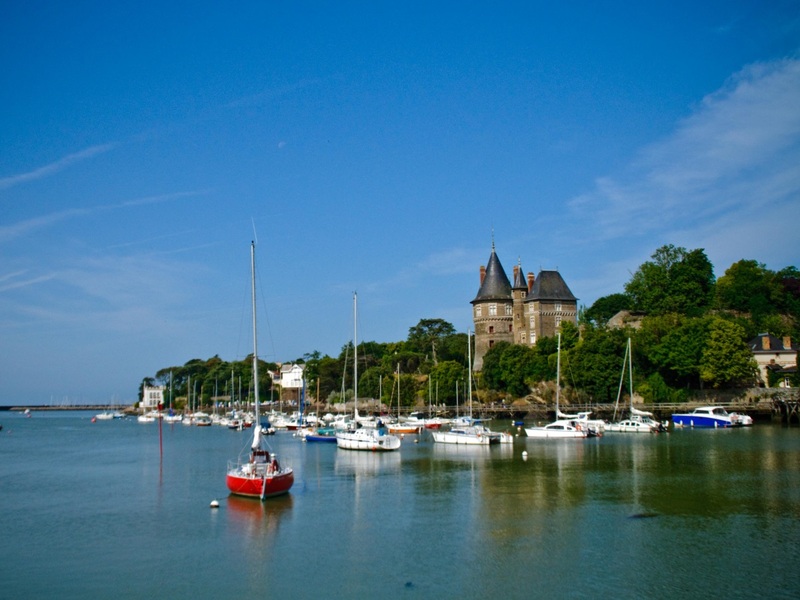 100 km (60 miles) from Beauvoir-sur-Mer. 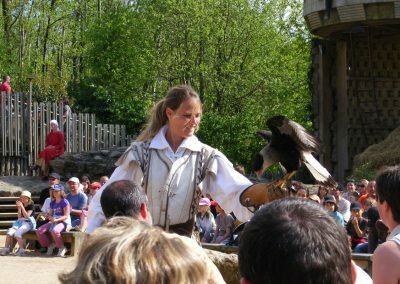 Puy du Fou brings the past to life. There are 10 spectacular shows. 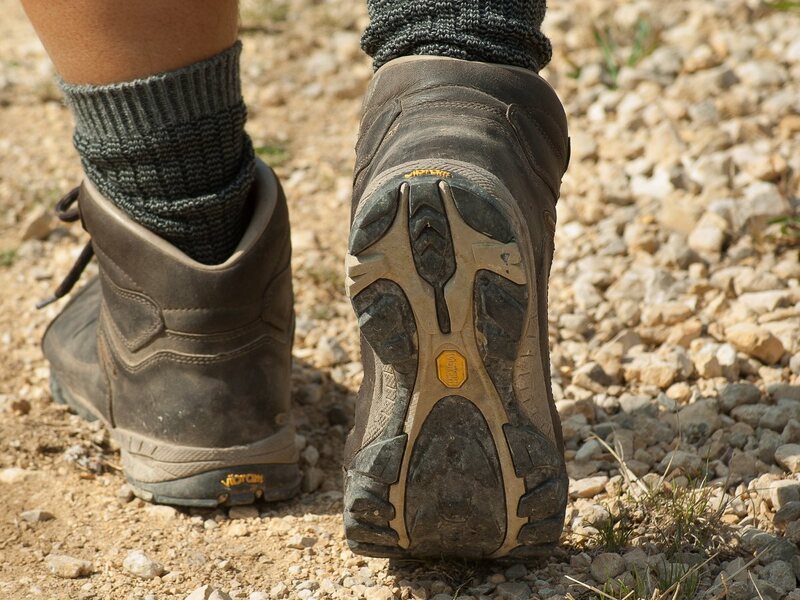 You can revive the Roman life in a giant amphitheatre of 115 meters long. Here chariot races and gladiator fights take place with real lions. 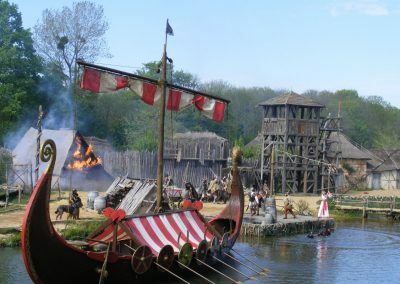 Furthermore there is a spectacular attack of the vikings on a fort from the year 1000. 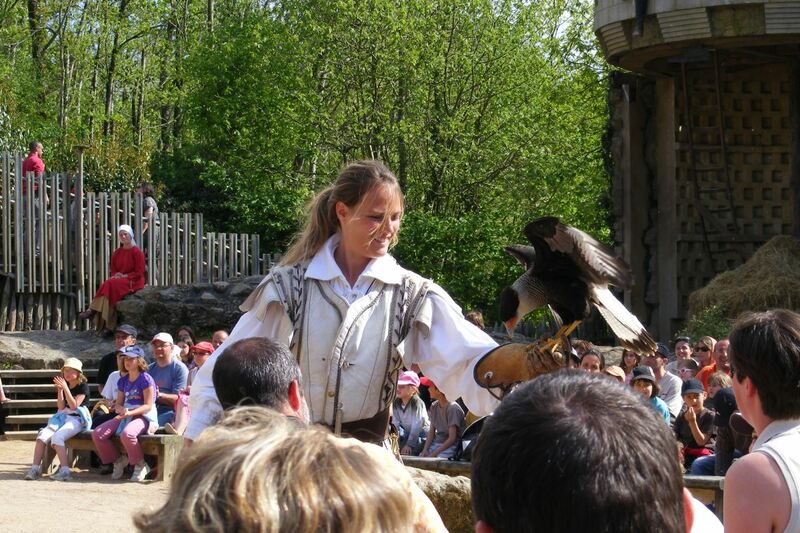 There is a splendid bird of prey show in an old castle ruin with more than 100 birds of prey. 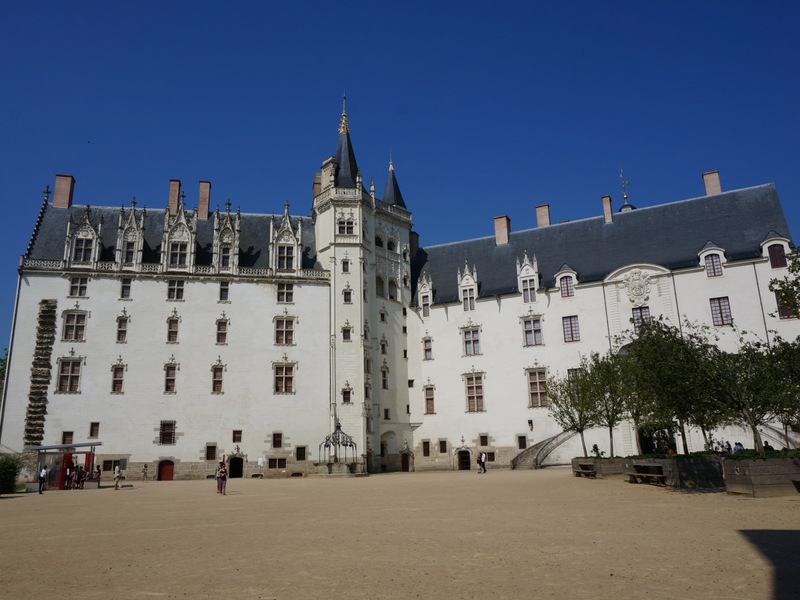 There is also an attraction in a huge theatre from the 17th century, with a sword fighting show of 35 minutes, from the time of king Louis the 8th. 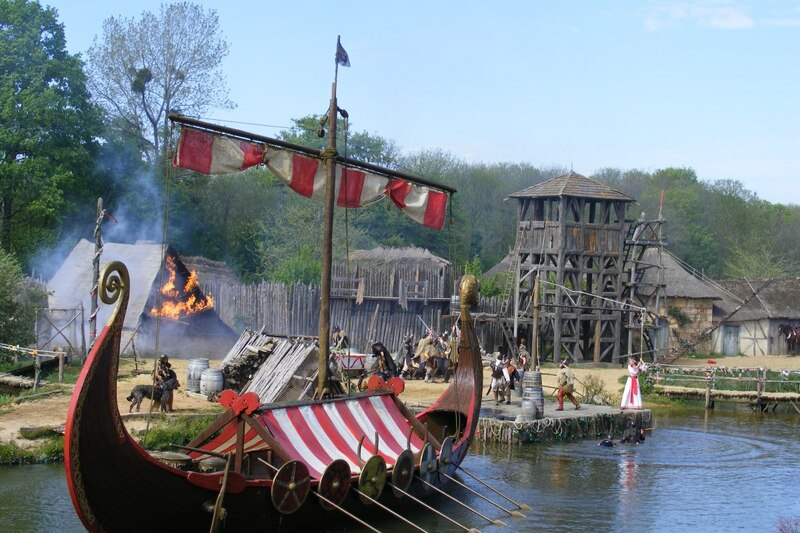 Furthermore you can relive the life in the reconstructed villages from the 18th and 19th century. Behind each door there is something new. From June to September, one of largest water, light and fire attractions in the world takes place on Friday – and Saturday night. 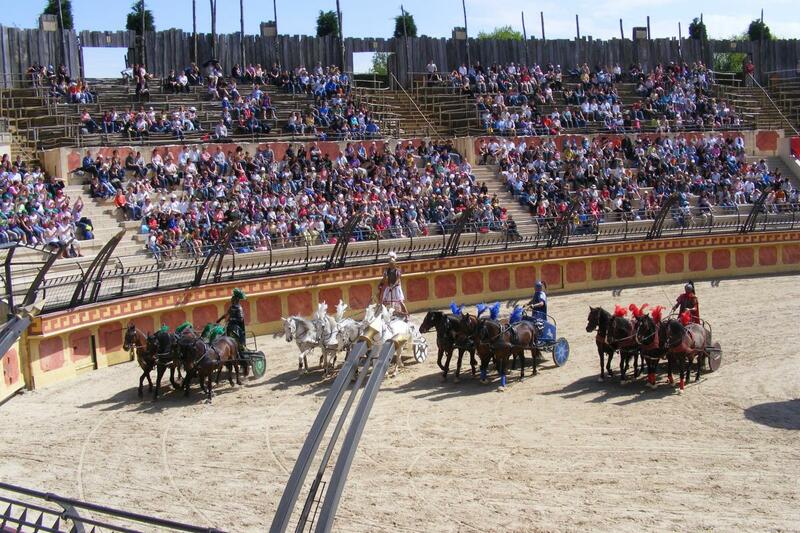 These “Cinéscénie” is a perfect finish of your travel through time in Puy du Fou. For this spectacular show there are more than 1000 actors, 4000 costumes and more than 300 pieces of fire works. For this show it is advisable to reserve in advance as it is very popular. 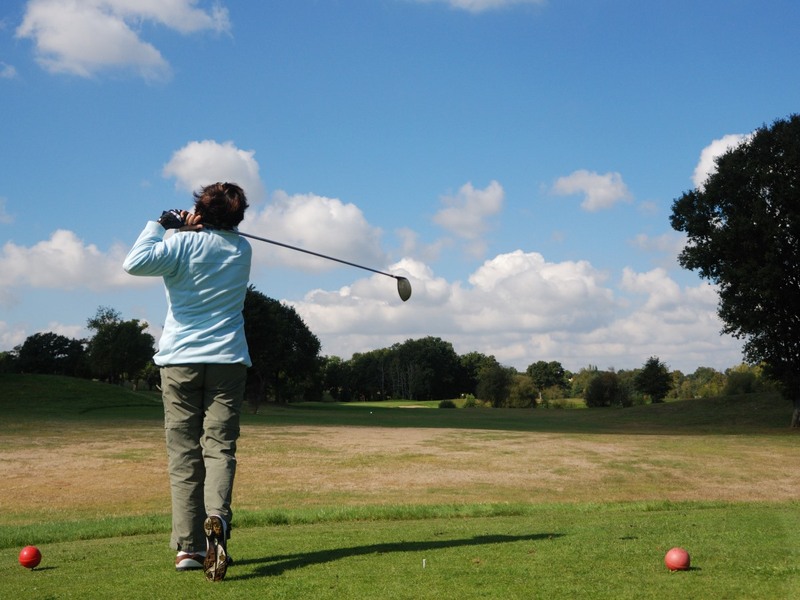 There are organised bus trips to Puy-du-Fou from La-Barre-de-Monts (10 km/6 miles) or Challans (18 km/ 11 miles). 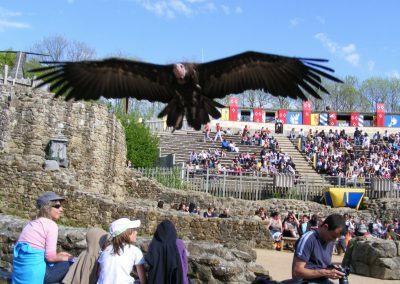 Reserving the bus trip or only tickets for Puy du Fou or Cinéscénie are things we are glad to do for you. 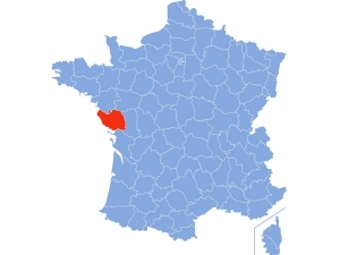 We live 800 meters from the Passage du Gois. 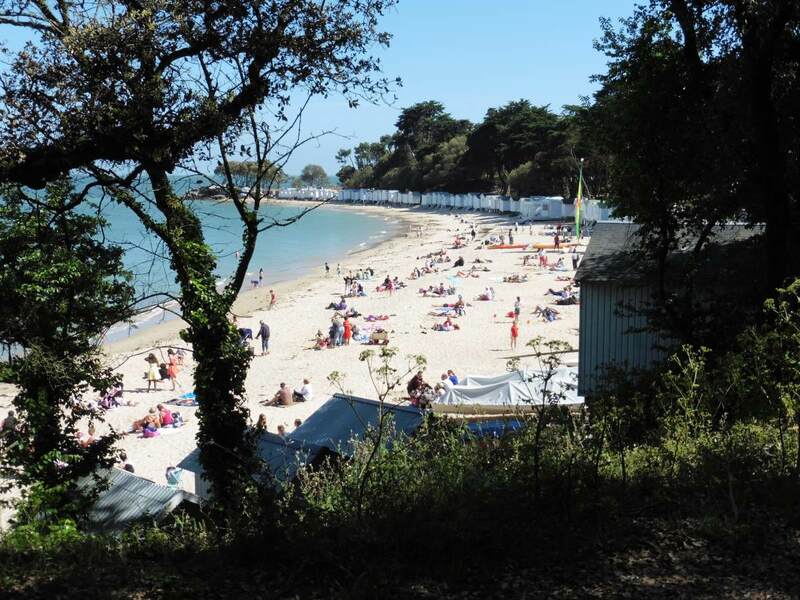 A submersible road to the island of Noirmoutier, which can be used at low tide. 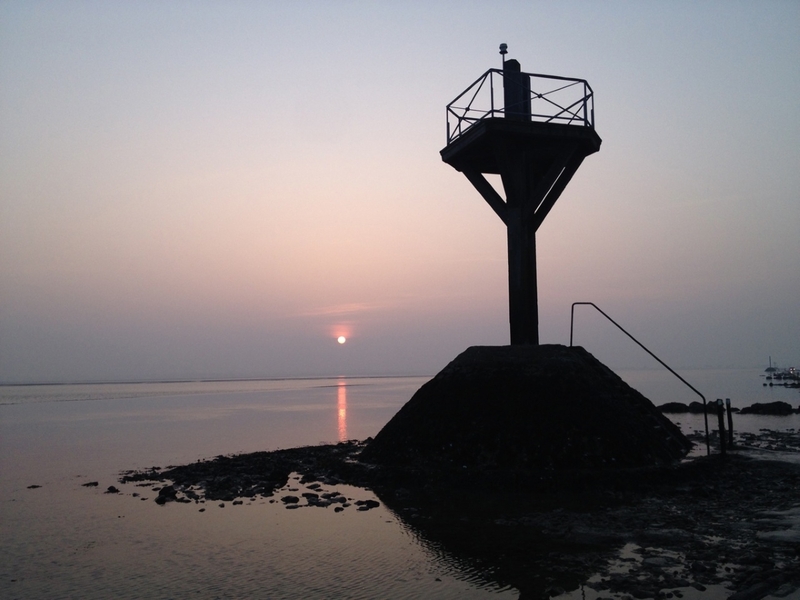 Find out all about the magic Passage du Gois.